¶ 2 Leave a comment on paragraph 2 0 All Around Along the Watchtower is arguably the best track on John Wesley Harding. John Hinchey, author of Like a Complete Unknown, says it’s “far and away, the best song on John Wesley Harding, and it’s one of Dylan’s most potent creations.” 1 Robert Shelton says it is “perhaps the album’s high point”. Could be, although there are many excellent songs on the album. ¶ 3 Leave a comment on paragraph 3 0 Once could argue perhaps that a few songs on Dylan’s mid-sixties albums suffer from excessive verbosity (like Sad-Eyed Lady of the Lowlands). On John Wesley Harding Dylan occasionally errors the other direction. Case in point is the title track, John Wesley Harding, which doesn’t provide the reader enough information to really discern the author’s theme. 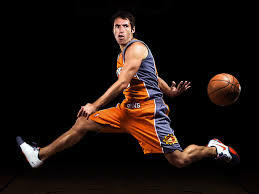 But on All Along the Watchtower he treads the needle like a Steve Nash pass through heavy traffic. The song, although extremely brief, invites a plethora of interpretations, invokes numerous historical references, and creates a cinematic visual landscape in the listener’s mind. ¶ 4 Leave a comment on paragraph 4 0 Like most of the songs on the album, Dylan sets the narrative in what seems to be the American Wild West. “Two riders are approaching’ clearly evokes the image of the outlaw, maybe a Clint Eastwood type, riding into town with a cigar between his teeth, ready for a showdown. ¶ 5 Leave a comment on paragraph 5 0 The song is clearly another of Dylan’s “the apocalypse is coming” songs, similar to Hard Rain’s A-Gonna Fall, or Slow Train Coming. Although exactly what is coming is not stated explicitly, something big is clearly on the horizon for the “princes” and “barefoot servants” in the walled fortress. A “wildcat” is roaring, and the “two riders” that are approaching, clearly signaling something ominous on the horizon. ¶ 6 Leave a comment on paragraph 6 0 Many commentators have pointed out that the lyrics echo lines in the Book of Isaiah,Chapter 21, verses 5-9. ¶ 7 Leave a comment on paragraph 7 0 5 Prepare the table, watch in the watchtower, eat, drink: arise, ye princes, and anoint the shield. ¶ 8 Leave a comment on paragraph 8 0 6 For thus hath the Lord said unto me, Go, set a watchman, let him declare what he seeth. ¶ 11 Leave a comment on paragraph 11 0 9 And, behold, here cometh a chariot of men, with a couple of horsemen. And he answered and said, Babylon is fallen, is fallen; and all the graven images of her gods he hath broken unto the ground. ¶ 13 Leave a comment on paragraph 13 0 The watchtower seems related to the fortified city as a recurring image for the moral state of man or the body politic. Here the moral order seems to be threatened by the duality Dylan sees within himself of clown [the joker] and holy pickpocket [the thief]. ¶ 14 Leave a comment on paragraph 14 0 Shelton notes that Dylan mixes “colloquial speech with archaic setting and personae.” This technique is of course, reminiscent of other Dylan songs such as Highway 61. 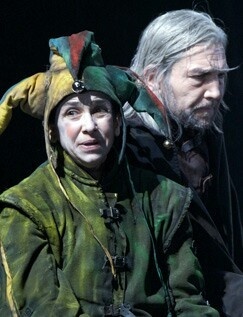 He also notes that the joker is used in a similar fashion in Shakespeare’s King Lear. ¶ 17 Leave a comment on paragraph 17 0 This song points to a more moralistic, spiritual outlook. The joker tells us people don’t understand him, they can’t comprehend the worth of his “wine” and “earth”. The thief tell the joker that “life is not a joke”. Finally, the joker and the thief (presumably) approach the fortress as a terrible wind and a howling wildcat signal the coming apocalypse. It seem to me that the song clearly tells the audience that some type of major moral or ethical judgment day is on the horizon, at least in part brought on by society’s depravity (thus the reference to Isiah). Of course, just my thoughts. Feel free to have your own :-). ¶ 18 Leave a comment on paragraph 18 0 The performance of this song keeps with the minimalist approach of the other songs on the album, a strummed guitar, over a bass and drum. Dylan uses his harmonica to accentuate the tension of the lyric, ending with a solo that seems to add a question mark to the entire proceeding. ¶ 19 Leave a comment on paragraph 19 0 Of course, many casual rock fans are under the impression that All Along the Watchtower is a Jimi Hendrix song. It’s understandable, since Hendrix really reworks the song musically, making it his own. Generally, covers of Dylan songs pale in comparison to the original. I can’t think of another cover that exceeds the original, besides this one. ¶ 20 Leave a comment on paragraph 20 0 Hendrix gives it his usual Dylan-style vocal, but adds an amazing guitar part that certainly ranks at the top of not only Hendrix’s but any rock performance. It’s a grand achievement. Herb Bowie of Reason to Rock makes some interesting observations. ¶ 21 Leave a comment on paragraph 21 0 The third musical element I want to comment on, and the one that really frames and defines the whole song, is Jimi’s repeated, gradually progressing ascents up the scale with blistering notes. Here is what I mean, the first time it appears, at the beginning of the first guitar break, between the first and second verses. (Audio clip – 16K.) Here is what it sounds like at the end of the second, and longer, guitar break, between the second and third verses. (Audio clip – 40K.) And here, finally, is the way it sounds at the end of the song. (Audio clip – 220K.) Notice how Jimi seems to be gradually reaching for a note that he only finally hits at the end of the song. And then when he gets there, he repeats it, over and over, making a high keening sound, representing not only the howling wind referred to in the last line, but that coming conflict that the song so clearly prepares us for. And the music ends on this note, as do the lyrics, without resolution, but clearly pointing forwards to some anticipated future act of liberation. ¶ 22 Leave a comment on paragraph 22 0 This is simply a brilliant collaboration between songwriter and musician, the accompaniment extending and reinforcing the meaning and drama of the lyrics, and showcasing the unique possibilities of the electric guitar along with nothing more than a bass, drum kit and acoustic guitar. ¶ 25 Leave a comment on paragraph 25 0 Not surprisingly, versions of the song appear on many Dylan live albums, including Before the Flood, At Budokan, Dylan and the Dead, and MTV Unplugged. On the Dylan and the Dead and Before the Flood albums it’s performed in a rock style, undoubtedly influenced by the Hendrix version. I still prefer the original, with the MTV version a distant second. Surely it’s “Along” rather than “Around”? Although as Dave Van Ronk pointed out, you can’t actually go along a watchtower. Thanks Jon, I’ll fix that. Von Ronk was right, wasn’t he? !